In this era of “small batch” and “artisanal” and “ultrapremium,” an appreciation of four stalwarts. Walk into a liquor store these days and you’ll be presented with a blizzard of choices. You want a bottle of vodka. Do you want economy, premium, superpremium, or ultrapremium? Plain or flavored? If flavored, would that be citrus or blueberry or root beer or, God help us, cupcake or frosting or smoked salmon? 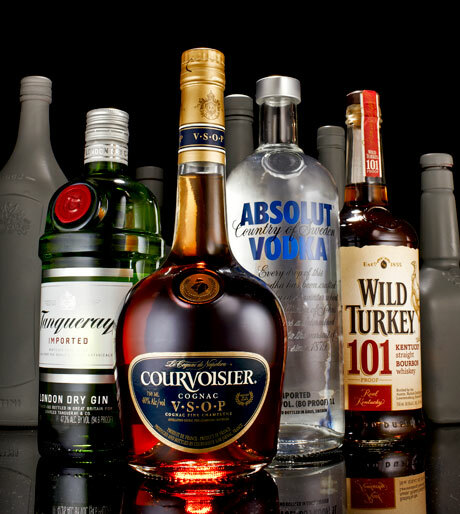 Do you choose a national brand like Smirnoff or Skyy or Tito’s, or do you go with some small brand you’ve never heard of? If it’s one of the small ones, is it made from wheat or rye or potatoes or something weird, like milk or soy or beets? Name any big spirits brand and most likely it will come adorned with upgrades and extensions and premixed cocktails and any other thing you can think of, as if it were so much Gatorade. Or you can go artisanal and get a locally produced version of the same spirit. You’ll pay twice the price, but they’ll throw in a cleverly designed bottle.